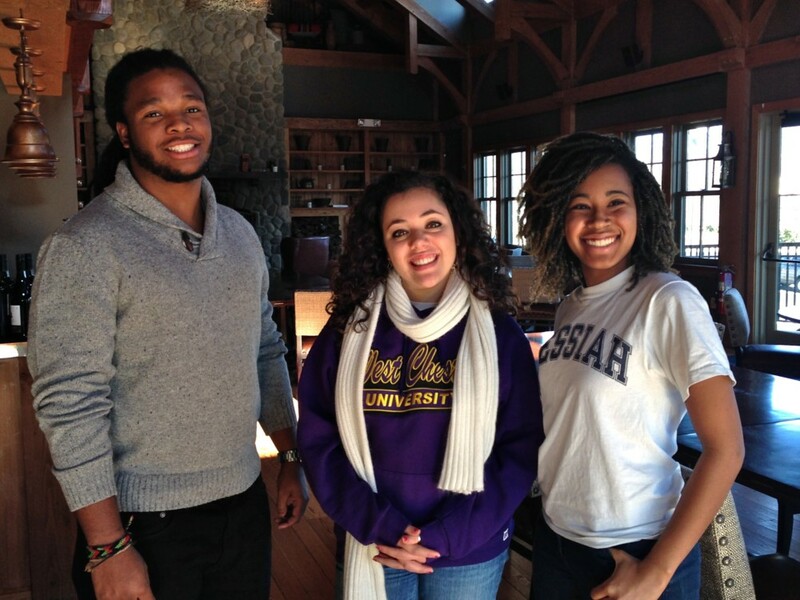 (L to R) Terrance Brownlee, Towson University; Maria Ricker, West Chester University; and Alana Anthony, Messiah College. The Annapolis & Anne Arundel Scholarship Trust, a Maryland non-profit organization that has provided financial scholarships for first-generation-to-college students since 2000, is re-launching with an expanded model that will increase support of students to prepare and complete their post-high school education and launch a career. Over the past 14 years, 38 youth have received scholarships from The Trust and achieved a 68% graduation rate – more than six times the national average for first-generation-to-college students. Trust Scholars boast careers in medicine, community service, technology and education and encourage generations of youth to come. The new framework will include mentoring, vocational exploration, college preparation and career planning and networking. Community partnerships will be key to building a solid foundation of educational programs – each phase can be supported by individual, corporate, governmental and educational partners in Anne Arundel County and beyond. “Our new vision will transform the mindsets of Anne Arundel County first-generation-to-college students and the community and help them work together to create opportunities and envision a new future for youth,” stated Reginald Broddie, President & CEO of The Trust. Broddie led Boys & Girls Clubs of Annapolis & Anne Arundel County for over 25 years and co-founded The Trust with Board member, Crispin Etherington, initially for Club members. The Board has recently voted to offer scholarships to ALL eligible youth in Anne Arundel County. Fundraising will still focus on financial scholarships – the core of The Trust’s model – through the new Sponsor-A-Trust-Scholar program. As a participant, a donor can be paired as a mentor with a student before they graduate from high school and will commit to contribute to their tuition over the course of their college or technical school career ($1,200 semester/individual donor and $1,750/semester corporate sponsor). Sponsors can be an individual, a family, giving group, charitable organization or a company and have naming rights to their scholarship. Funding is also being sought through grants and partnerships for programs to support a “Vision” summer camp for high school students, college preparatory training and operational expenses focused on creation and administration of educational programs. Currently, all positions are served by volunteers. The Annapolis & Anne Arundel Scholarship Trust (formerly the Annapolis Boys & Girls Scholarship Trust) was established in 2000. The Trust’s mission is to work with the community to provide the inspiration, mentoring and financial support for first-generation students so they can complete a higher education. Learn more at www.AnnapolisTrust.org or email [email protected].